This is a New in Box (NIB) item. - TO BUBBLE WRAP AND SECURELY BOX YOUR ITEM WHEN NECESSARY (I AM A COLLECTOR TOO!). NOTE: WE DO NOT CLAIM MINT CONDITION, AS THERE CAN BE MINOR BLEMISHES / FADING / SCUFFS. I WILL DO MY BEST TO FIX ANY ISSUE, BUT IF I DO NOT KNOW THERE IS AN ISSUE I CAN'T FIX IT. THERE CAN BE NO EXCEPTIONS. I DO THIS ONCE A WEEK, USUALLY ON WED. IN ORDER TO MAKE THE WED.
Marvel Legends Showdown Booster Pack Ghost Rider. Condition is New. Shipped with USPS First Class Package. Marvel Universe Series 4 Psylocke 005 & Series 5 Elektra 006 Figure Lot. Cards are not mint and have some creases due to age (see pics). 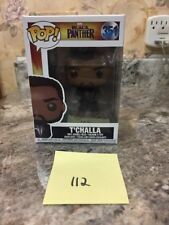 Combined Shipping available for multiple auctions won on same day: $2 each additional Figure/Lot plus highest shipping price. Wait for Invoice to pay to receive combined shipping. Ships to US only. Thanks for looking!! Disney Marvel Hulk 4 Inch Figure. Condition is pre-owned but in excellent condition.Shipped with USPS First Class Package. Ending Today at 8:47PM PDT5h 9mBrand: MarvelSize: 4in. 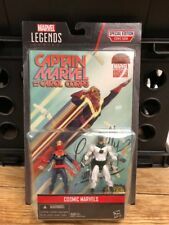 Marvel Universe Greatest Battles Comic Pack Action Figures Colossus & Juggernaut. Condition is New. Shipped with USPS Priority Mail. DC Universe Batman Unlimted Batmsn 4” Action Figure Mattel 2013. Condition is Used. Shipped with USPS First Class Package. What you see is what you get-. MARVEL UNIVERSE HASBRO 2010 SERIES 3 003 WORLD WAR HULK 4 INCH LOOSE AVENGERS. DC Comics Multiverse Batman Arkham Origins - Deathstroke 4" Action Figure. Condition is Used. Shipped with USPS First Class Package. Almost new DC multiverse 4 inch arkham videogame Joker figure . Condition is Almost new in every good shape. It came with no accessories, and has 17 points of articulation including neck, shoulders, elbows, wrists, waist, upper thighs, and knees. Only used for display. About 4 inches tall. Complete your set by assembling the entire team and the rare holographic chase versions of certain characters! See Pic(s)! DOWNTOWN KOKOMO, INDIANA 46901. Lot of 3 Avengers Movie 4" Action Figures. Lot includes: "Grapple Blast" Black Widow, Hawkeye w/ Launching Arrows and Hammer Smash Thor. Shipping discount available: $2 each additional Figure/Lot won plus highest shipping price. Wait for Invoice to pay for Combined Shipping offer. Ships to US only. Thanks for looking!! Up for grabs is the Marvel Universe figure. Figure comes in great condition and was only used as a display piece. Winner is to pay $3.00 shipping US. Thanks for looking and please Check out my other items. Title: Marvel Mini Heroes Thanos. 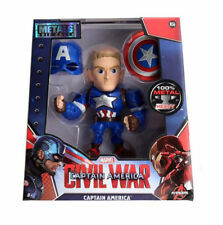 Each character is taken from a 2-D comic book image and translated into adorable 3-D for your collection! Not all heroes have to be gritty! Format: Misc. Trending at $16.05eBay determines this price through a machine learned model of the product's sale prices within the last 90 days. DC Justice League Unlimited Black Adam 4" Figure Great Condition! Rare! Ending Apr 23 at 5:59PM PDT4d 2hSize: 4in. 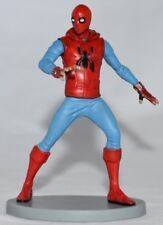 Spider-Man's right hand has been glued in place, and cannot be adjusted (see second picture). The ‘80s were an undeniably glorious decade for toys and action figures in particular. The heroes were ripped, and the playsets were epic. Combine that aesthetic with DC’s greatest Super Heroes and Super-Villains and you get DC Primal Age - a brutal, barbaric world ruled by ferocious warriors. Superman and his beast ride Krypto the Superdog™ are teaming up with The Flash™ against Black Manta™, Lex Luthor ™ and Bizarro™. The weapons are enormous, the attire is rugged, and the battles promise to be epic. Black Manta™ stands approximately 5 ½ inches tall and is packaged in a blister card. Recommended Minimum Age: 8 years - small parts not suitable for children under 36 months.